Most of Greensboro knows who Danny Mackey is. As a matter of fact, the 36-year-old upstate New York native is one of the most recognized people in Greensboro, especially during the summer months. 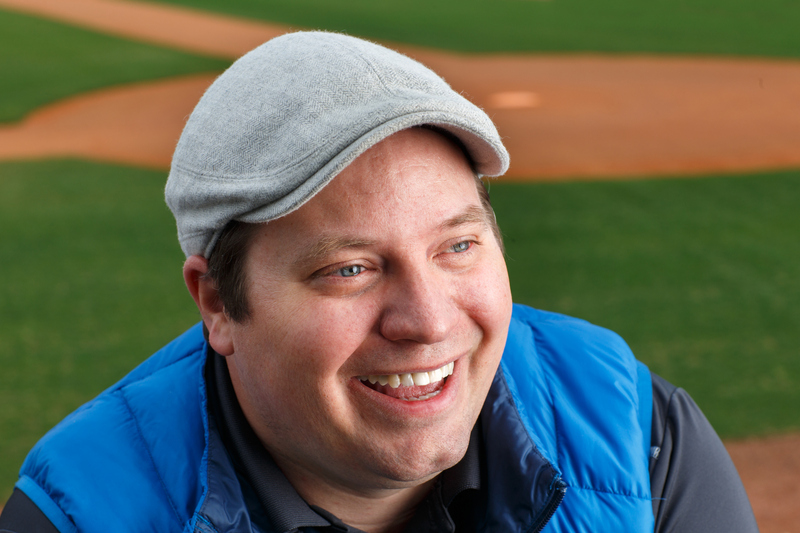 But do you know him as Danny Mackey the talent agent? Part owner of the PorterHouse Burger Food Truck? Or by his alter ego, Spaz? 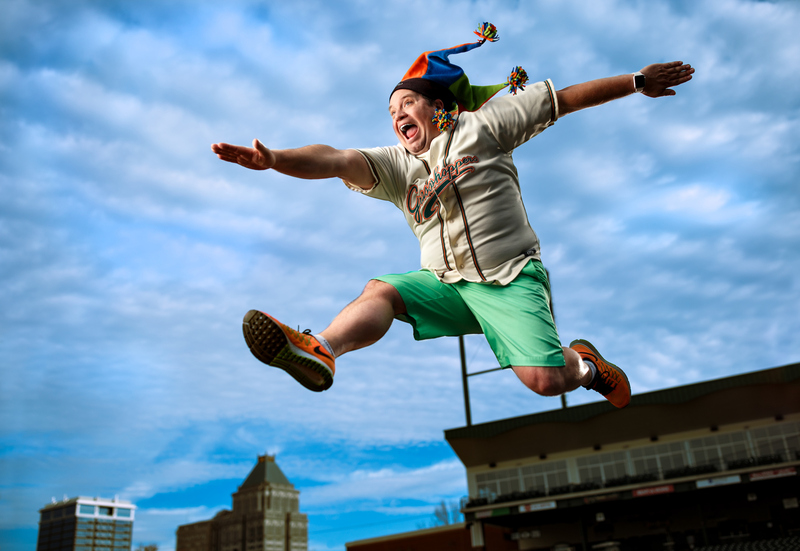 Danny spends his summers with the Greensboro Grasshoppers at First National Bank Field entertaining the crowd as Spaz. This year will mark Danny’s 14th season with the Hoppers and 16th working in baseball. But Danny is much more than just Spaz. While attending Greensboro College, he was “Leo the Lion”, after graduation he worked in Admissions, then moved into the role of Director of Student Activities. Danny is also a talent agent for Neon Entertainment and represents MTV’s Jersey Shore star, Nicole “Snooki” Polizzi, along with comedians, singers and more. 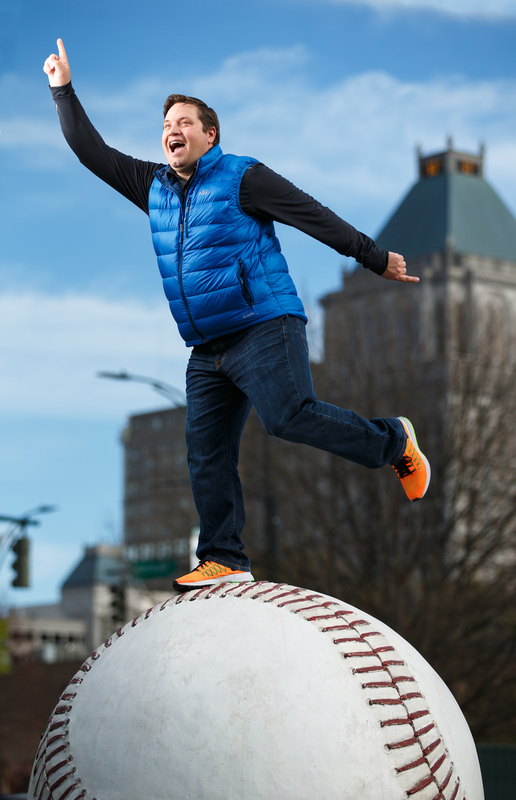 Being a talent agent means a lot of travel with his clients all over the East Coast, but Danny calls Greensboro home. Danny is also about to expand his family as he is recently engaged and busy planning his wedding, which will be in Greensboro.